The War for Independence was a conflict between Great Britain and her 13 North American colonies. It was also a civil war. Not only did the war pit Briton against Briton, it also pit American against American. But what happened to the Americans who lost? 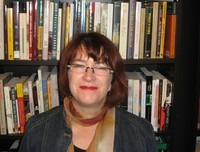 Today, Bonnie Huskins, coordinator of Loyalist Studies at the University of New Brunswick, joins us to explore the experiences of the American Loyalists. In this episode, Bonnie Huskins, coordinator of Loyalist Studies at the University of New Brunswick, joins us to explore the experiences of the American Loyalists. During our investigation, Bonnie reveals who the American Loyalists were; How individual Loyalists experienced their evacuation from the United States; And, the varied experiences of the white and African American Loyalists who settled in Canada. How individual Loyalists experienced the British evacuation of the U.S. In your opinion what might have happened if Great Britain had won the American War for Independence? 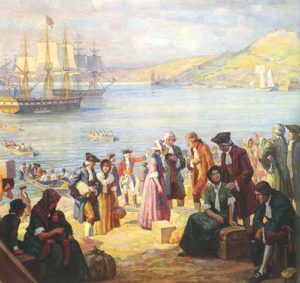 How would the lack of a Loyalist diaspora have affected the development of Canada and the Atlantic World?